I don't think retro kid toys will ever go out of style. I see it all the time kids today playing with toys from when I was a kid or even their grandparents. I would prefer retro kid toys to the toys made now any day. Most new toys are built terribly. I don't think retro kid toys will ever go out of style. I see it all the time kids today playing with toys from when I was a kid or even their grandparents. I would prefer retro kid toys to the toys made now any day. Most new toys are built terribly. Kids seem to break toys today so much easier then back in years gone by. Thing such as hand puppets, building blocks, play dough, bouncy balls, and crayons are amongst a lot of other retro toys that were always great to play with and they were not very expensive at all. If they did break then it was cheap enough to have the toy replaced. These kinds of toys are ways you and your child can play together too. The computer games and video games kids play with now they do not want your help playing. They certainly do not want to be caught playing with mom or dad. What Are The Benefits Of Retro Kids Toys? With retro kids toys they are the one in control and they have to figure out how they work and what they can do with it. It teaches kids better hands on motor skills and children have a better chance to use their imagination. These toys do not tell you what to do. It is the child that is in control. For instance if your child has a baby doll on the computer to take care of they do not have the benefits of holding it, changing its clothing, playing with it and pretending to do different things with it. Now if they had that baby doll in their hands they can do all of that plus much more. There are tons of retro kids toys that are still around but you do not see them much because of all the newer technology. Kids are not as interested in toys that do not automatically do something or you do not need batteries to operate. Retro toys do not need to have a plug to turn it on and let it control you as the computer does. Here is a list of retro toys that I still see around now and are still being played with by children. 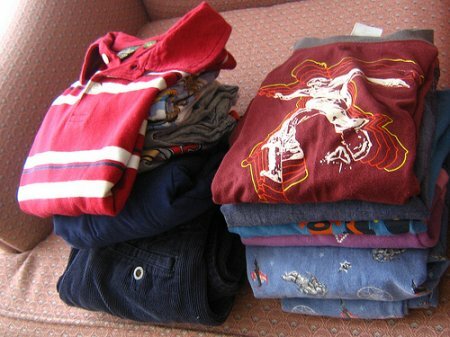 These are just a few ideas of what children are missing out on today. It is not just the children fault that they are not playing with toys like this. It is also the parents for either not introducing them to these types of toys or not enforcing them to play with things of this nature. Parents are the people 9 times out of 10 buying what their children play with. They are just as much in the wrong as the child is. The parents do not have to go and get the most expensive electronic game out there for the child to have fun. Just a simple Etch a sketch can keep a child busy for hours. We just have to work harder to introduce things like this to our children and maybe even get involved with them while they play. Games kids have now are so violent and have other real bad situations in them. This is why kids are learning that it is apparently okay to harm another or even rob some one. With retro toys the only violence really is that the little plastic army men have guns. This will not teach a child that violence is a good thing and you have to kill 10 people to go to the next board. This is why we all need to go back to the toys from days past. They were the greatest toys ever. This is a Mr Potato head doll. you can take him all apart and put it back together again.Mr.Potato head is still largely popular with toddlers and young school aged childern, They like the ability to change him into whatever they can imagine. 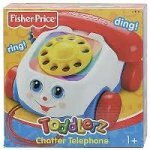 This is an image of a children s chatter phone with a pull string. I remember playing with this as a child a pulling all over town behind me. This is a silver, metal slinky. You place it at the top of a stare case and watch it come back down.The Original was only made in metal but you can now buy plastic slinkies in a variety of colors. This is an Etch-a-sketch. You can draw pictures on it with the 2 white knobs that are on the front. Mastering the proper use of an Etch-a-sketch was really something to be proud of in years past. Share a link to a page on Retro Kids Toys and we will consider it for placement on this page.